When I was a young clothing buyer and the Franc was eleven to the dollar, I used to fly to Paris, head to Le Sentier (then the center of textiles and manufacturing, now home to internet start ups–how ironic! ), and stock my store with oversized paisley shirts and skinny jeans, circa 1985. I stayed at a basic hotel on a quiet street in the 6th arrondissement and lived mainly off baguettes and cheese. I haven’t been back in ten years (can it be that long? ), but I made it this summer. I sent my daughter to a month-long French immersion program with a plan to pick her up at the end. Armed with exhaustive research, my dog-eared Plan de Paris, very rusty French and my friend Hannah (six feet and blonde, they LOVED her in Paris) in tow, I set out. If you’re thinking of going to Paris, here’s my list. p.s. see more photos here! 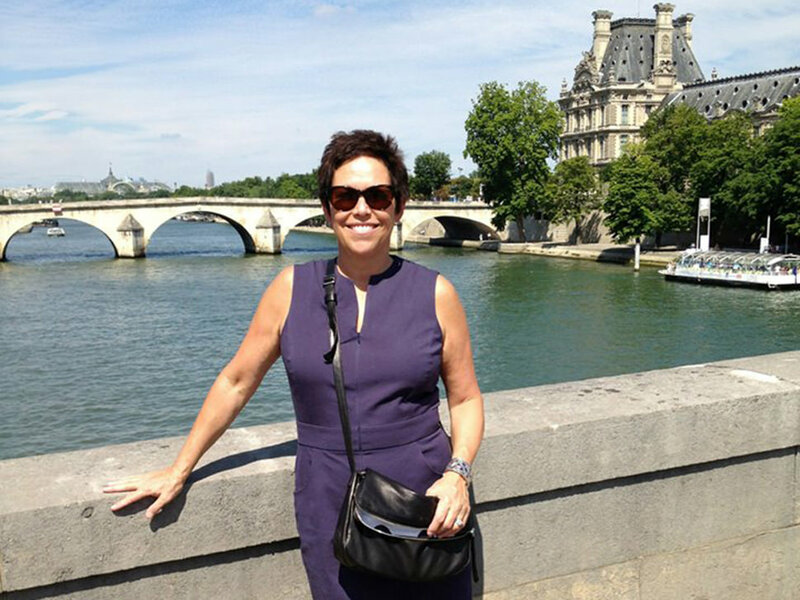 Lucky for me, my friend Dorie (THAT Dorie) gave me a great list of Paris blogs for restaurants, hotels and things to do. After nights of surfing, I pinned ideas of where to go and what to do to my Paris Evernote (if you don’t know about indispensable Evernote, check it out here). I relied heavily on Paris by Mouth for restaurant advice, even signing up for their Taste of St. Germain food tour, which turned out to be one of the highlights of the trip. We stopped at Androuet for fromage (from lemony chevre to a stinky and delicious Gaugry), picked up artisanal baguettes at Eric Kayser, the original fleur de sel caramel at Henri le Roux and visited Patrick Roger for a peak at his over-the-top chocolate sculptures and treats. We made our way to the wine cave at La Dernier Goutte with our booty for hand-selected biodynamic wines to go with our cheese. Our delightful guide, Sarah, was super knowledgeable. 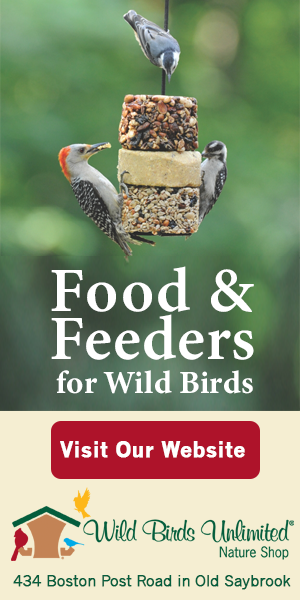 Take the 4pm tour and don’t make dinner plans! Besides getting a few euros at AAA in advance, making restaurant reservations and switching my phone service to an international plan (no matter what, do NOT keep your roaming or cellular service on), the single most important thing I did was create a GOOGLE MAP of all the things I wanted to see, eat and do. You can use mine, the-e-list guide to Paris, by clicking here. Or create your own: find out how, here. I did encyclopedic research on where to eat before I left, and it’s a good idea. Most of the hot spots need at least a week or two for a reservation and some, like Le Comptoir (Dorie’s favorite), Frenchie or Septime take much longer. Le Comptoir doesn’t take reservations for lunch, so get in line as we did at 11:40, and you’re sure to get a table. It’s simply not true that all Parisian restaurants have good food, so it’s best to plan ahead, whether you’re looking for a classic bistro or the latest in trendy cooking. The last few times in Paris we stuck mainly with the classics, so this visit we tried (and preferred) the newish bistronomy, a fresh version of French cooking with gorgeous plates and gentler pricing. 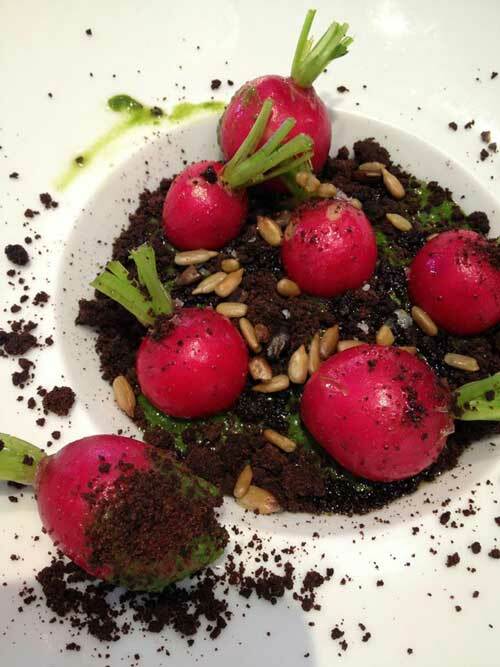 Le Comptoir – If you couldn’t snag dinner reservations, get in line and have an exquisite lunch at Yves Camdeborde’s tiny bistro that launched bistronomy. If you’re staying in the hotel, rumor has it that you’re guaranteed a table. Les Papilles – Reserve in advance and confirm the day of, for this charming bar a vin/bistro in the 5th, where you are served whatever they’re cooking. No menu, kitchen the size of my closet and astonishingly good. 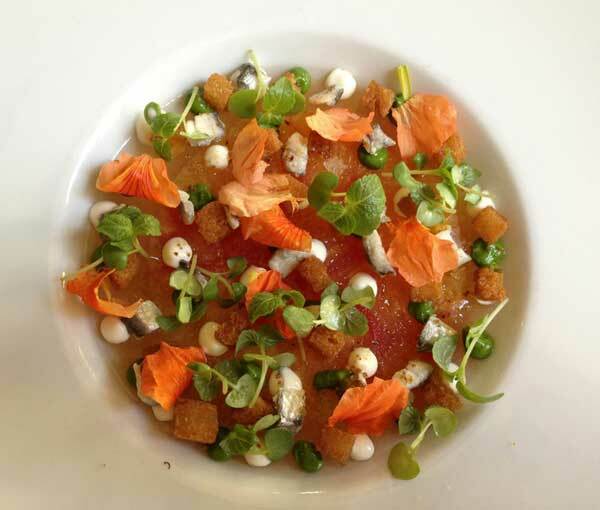 Pirouette – Perhaps our family favorite, a fresh bistro in light oak and dark gray with a creative chef at the helm. As our waiter said, “trust the chief”! We were sorry we didn’t make it back for a second meal. If your jaunt at Dehillerin made you hungry, this spot is nearby. 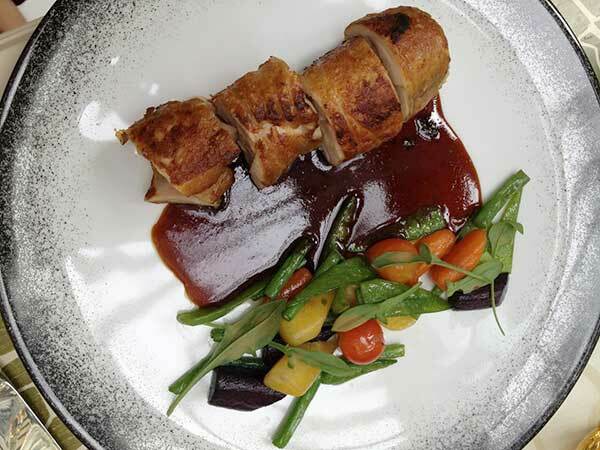 Kitchen Galerie Bis – I was prepared not to fall in love with KGB, as our last experience at it’s big sister, Ze Kitchen Gallerie, wasn’t stellar. But I did. Modern art on white walls, our charming waiter and tiny bites of “zors d’oeuvres”: ravioli in parmagiano emulsion, cold petit pois soup, a small pile of perfect mussels. Josephine Chez Dumonet – It doesn’t get more old school than this: foie gras, endive salad, bourguignon and a giant Grande Marnier souffle in a high-spirited bistro. Order the half plates. Les Climats – Glamorous, modern French cuisine on a stunning terrace with nary an American. I loved it here, my husband found it a little “girly”. Across from the d’Orsay. Semilla – Marble tables, white-washed walls and an open kitchen distinguish this small bistro with meticulous small plates. 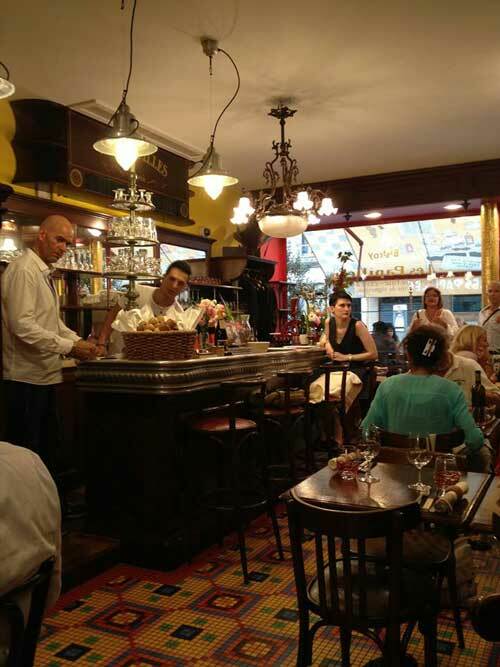 Willi’s Wine Bar – Our American waitress was suffering a break-up with her French boyfriend, but no matter, we loved this bar a vins for lunch after the Musee des Arts Decoratif. 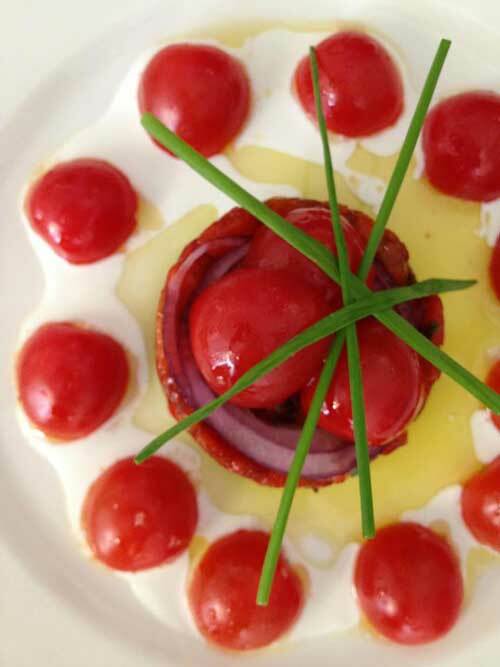 Don’t miss the onion tart or cherry tomato and chevre salad. Fish La Boissonerie – A jolly ex-pat New Zealander owns this bar a vins, Semilla, Le Dernier Goutte and the original Cosi. You’ll recognize the Cosi bread, he created it. I’ll quote Paris by Mouth here, because they got it right: “This popular restaurant and wine bar run by Drew Harre and Juan Sanchez is a sort of Anglo haven, excellent for a quick glass, a solo dinner at the bar, or for those times when you’re just tired of speaking French.” Exactement. La Palette – A perennial classic; we ended up here almost every day for an apero after trudging around Paris in the 95 degree heat. Hot here, too, but my favorite place to people watch. Moustache – Le Timbre next door was closed for vacation so we ended up at this sweet bistro with an asian twist right outstide le Jardin Luxembourg. Rotisserie d’en Face – Chicken is so much better in France and this is the place for it: a perfectly roasted bird with buttery mashed. Le Relais de l’Entrecote – If this is Paris’ answer to fast food, I’ll take it. Nothing but steak, special sauce, frites and salad (and seconds and dessert!) Open Sundays, my daughter loved it, but not high on my list. Bouillon Chartier: The food wasn’t especially memorable but the over-the-top art-nouveau interior makes it worth the trip. La Maison de Chou – A must! Fresh cream puffs, filled to order on the charming rue Furstenburg, home to all the fancy fabric houses. Patisserie Sadaharu Aoki – Don’t even try to take a picture of this astonishing Japanese pastry and chocolate shop. Just go. Pierre Herme – Skip Laduree, they’re apparently frozen now, head here for Macarons. Patrick Roger – The gargantuan chocolate gorilla in the window gives it away, this is not your run of the mill chocolate shop! Henri le Roux – The home of fleur de sel caramels and my favorite pate de fruits. La Dernier Goutte – Knowledgeable and English speaking staff, the destination for biodynamic, small batch wines from all over the world. Free wine tastings on Saturdays. They’ll ship. This is not a definitive list of “the best shops” of Paris. There are literally thousands, I only had ten days and I have very specific taste! If you’re after luxury goods (Hermes, Chanel, Celine, Goyard) they are easy enough to find on the Rue Saint Honore, at the Bon Marche, or even at the airport! It used to be that fashion in Paris was one year ahead. With the globalization of shopping, not so much anymore; most stores and designers have American outposts. For me, I have a list of quintessentially Parisian shops I like to visit and then, of course, I leave myself plenty of time to find new ones. Boutique shopping may be dying in the U.S. but still seems vital in Paris. On my last few visits, Colette was the go-to for avant-garde shopping. Now, it’s Merci in the Marais, three floors of hip housewares and linens, decorative items, covetable clothing and plenty of packable but hip souvenirs for friends and family. Have a refreshing iced herbal tea in the book-lined cafe, then wander back along Rue Vieille du Temple for a tour of the boutiques and vintage shops of the Marais. Tara Jarmon: racks of simple navy frocks, classic black jackets, Peter Pan collared silk blouses and narrow cropped trousers; classic Parisian dressing without the absurd pricepoint, created by a Canadian designer who lives in Paris. Repetto: if a Parisian is wearing ballet flats (and most of them are) they are likely Repetto. Originally created for ballet dancers (and still shoeing them), this is the flat to buy that’s a teeny bit cheaper in Paris than on our side of the pond. Astier de Villate: A magical shop, well known for their gorgeous handmade ceramics and collaboration with John Derian. My favorite purchase on my trip was their Eau de Cologne, which I’m afraid is not available in the states: verveine with a splash of basil. Yum. UPLA: Classic canvas French Fishermen’s bags in a rainbow of colors. Herve Chapelier: Stop here for an indestructible yet chic heavy nylon carry-all to tote home your purchases. Huge range of color combos and sizes and the backpack that Kate Spade knocked off. KJacques: head to the Marais for the original St. Tropezienne sandals, entirely handmade since 1933. Cire Trudon: the oldest candlemaker in the world makes the perfect gift or souvenir, since 1643. Agnes B.: You still can’t beat Agnes B. for classic tees, floral cotton shirts and schoolgirl blazers that are not quite as dear in France. I always find a skinny tie for my husband at the shop for l’homme. 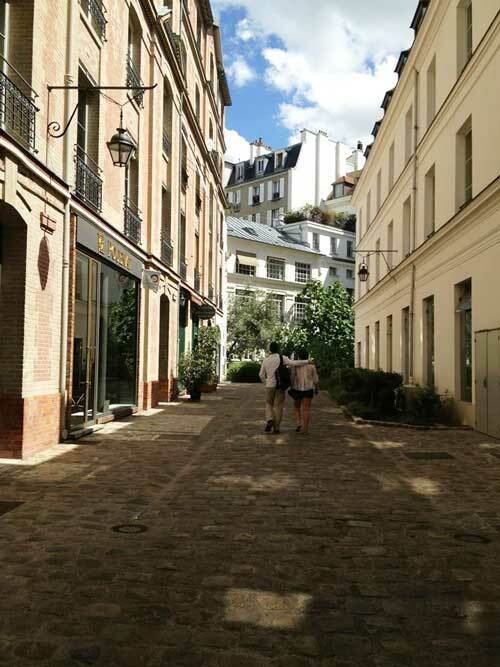 There are several locations in Paris, my favorite one is on Rue Du Four (not far from Dehillerin, the famed kitchen store) where you can shop the women’s, men’s, kids and voyage (travel bags) in one go. Once you’ve exhausted yourself with shopping the block, go directly to Pirouette around the corner for lunch. Autour du Monde Bensimon: the Bensimon concept stores are full of Parisian’s preferred “tennis” and they’re much cheaper there than here. Head to the shops (various locations) for a huge color selection of sneakers, canvas schoolbags and hip and bright collection of sportswear. Comptoir des Cotonniers: with locations all over Paris, I always find something here, sort of a higher end, Parisian version of J. Crew. Louis Vuitton Writing Store: Pop up shop of writing instruments and papers next to the LV boutique in St. Germain. Fascinating. The LV Guide to Paris is a perfect souvenir. Isabel Marant: THE designer of the moment. Annick Goutal: Besides Guerlain, the destination for French scents. Anhoki: hand-blocked Indian prints in kurtas, caftains, scarves and tablelinens. Les Bijoux de Sophie: A treasure! If you’re looking for unusual Parisian gifts, head here for scarves, guest towels, bijoux and more. Bon Marche and the Epicerie: An absolute don’t miss. A temple of luxury shopping, fabulous book and stationery floor; head to the Epicerie across the street for treats to bring home. Bonton: THE best baby and kid’s shop, in the Marais across from Merci. Curling: Bon chic, bon genre. Classic but cool blazers, sweaters, trousers, and skirts. You don’t need me to tell you what museums to go to; there are plenty of guides for that and it doesn’t really matter how many times you’ve been to the Louvre, you’ll never see it all. I skipped some of my favorites this time (except The d’Orsay), and headed to smaller exhibitions to avoid the summer crowds. We enjoyed wandering the rooms of the Jacquemart-Andre, a private mansion with a vast and personal art collection, think Parisian version of the Isabella Stewart Gardner. If you’re headed over before it ends on November 24th, make sure to see The Mechanics of Underwear (La Mecanique des Dessous) at Musee Les Arts Decoratifs. We loved this exhibit, a visual history of how body parts have been lifted, squished and emphasized since the 14th century. I was reminded of my favorite History of Fashion class (yes, it’s true) where I had to date paintings by the size of the ruff or width of panniers, though I don’t remember covering codpieces (so interesting!). The galleries that line Rue de Seine make for an arty afternoon, too, and you can end up at my absolute favorite cafe, La Palette, for a refreshing rose. Have the enormous and gooey cheese plate or charcuterie and call it dinner. My criteria? I wanted to be close to my daughter’s school and in a neighborhood I was familiar with. On a French blog I found a well-priced hotel on Rue Madame in the 6th arrondissement, the same street I stayed on many years ago. After more research, I discovered that it was the exact hotel, with new owners and a fresh renovation! 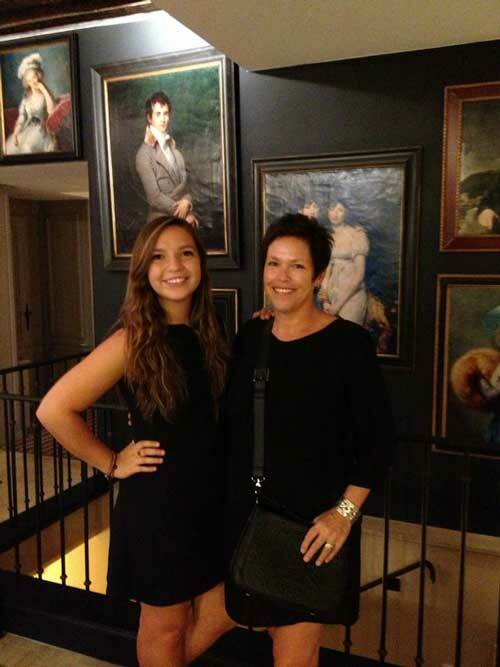 Hannah and I both loved the Villa Madame, with it’s chic lobby, breakfast room, sweet little garden and helpful staff on a very quiet street (be forewarned, it’s next to a school, so probably not so tranquil when school is in session!). From 197 Euro. When my husband arrived and my daughter was finished with school, we moved to a suite in the 16th century Relais Christine. Our cozy (read small) rooms were on two floors with a day bed on the first and king on the second. It’s an elegant hotel, complete with spa and gym (which, believe it or not, I made use of!). We loved to come home to our air-conditioned haven in the 6th for a glass of champagne and a game of chess in the lounge. 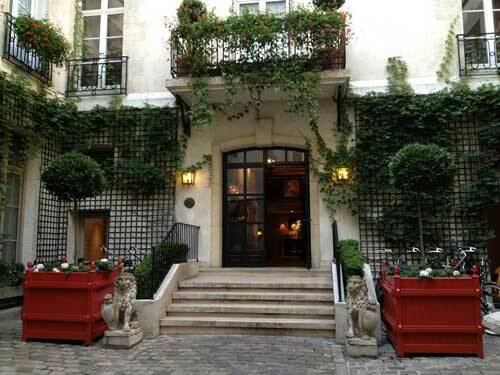 A few other hotels I checked out while there: I would definitely stay at Hotel Recamier (if I can bear leaving Villa Madame), a luxurious hotel for a decent price, overlooking Place St. Sulpice. 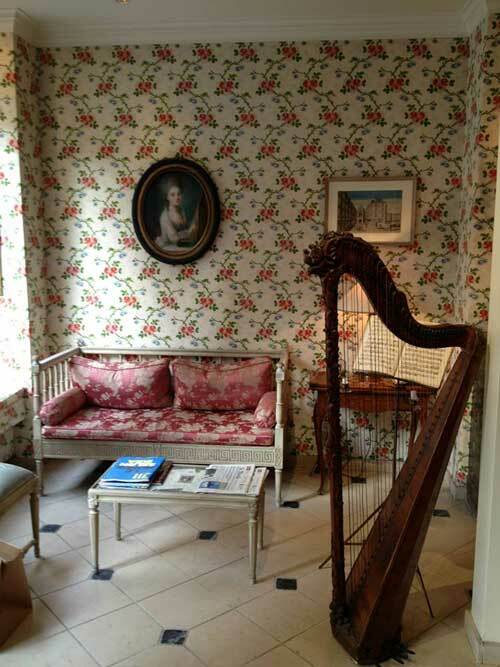 And I fell in love with the cheap and cheerful Hotel Caron de Beaumarchais in the Marais, with its piano-forte and 18th century toile-covered lobby (rooms from $135!). If you need more space, pretend you’re Parisian and rent an adorable apartment through Chez Vous. We did last time and loved it. The Bio (organic) market is on Boulevard Raspail on Sundays. The better flea market is Clignancourt. Keep your metro ticket, they may ask for it on your way out (they did!). Leave 5% over the bill for a tip. Coffee is most expensive on the terrace, less inside and cheaper still at the bar. Don’t even think about wearing high heels. You’ll only find air conditioning in the chocolate and cheese shops. Dress accordingly. Always say Bonjour Madame/Monsieur (never mademoiselle) upon entering a shop. Many restaurants are closed on Sundays, museums on Mondays. Get the Viber App on your phone to text and call home for free. p.s. please excuse the lack of accent grave and aigu. I don’t know how to do them in this format. Patricia Wells Food Lover’s Guide to Paris app is just the thing for finding a great restaurant close by. Nilai, at 4 Rue du Vieux Colombier, in the 6th, has lots of inexpensive but oh-so-French jewelry, bags and scarves. Perfect gift shopping. We loved L’A.O.C. in the 5th for classic rotisserie chicken and impeccably sourced ingredients. There are inexplicably a zillion optical shops in Paris, but if you’re on the hunt for new frames, head to Jimmy Fairley in the Marais – well-priced and on trend. Le Petit Lutetia, 107 Rue de Sèvres, for sole with spring vegetables, a vat of chocolate mousse for the table, and the affable, endearing owner in an old school Brasserie. The incredibly charming Cuisine de Bar, for cafe au lait and tartines from the famous bakery, Poilane, right next door. Wine tasting 101 with Juan, owner of La Dernier Goutte, for a fun and interesting night of discovering the smaller vineyards of France. 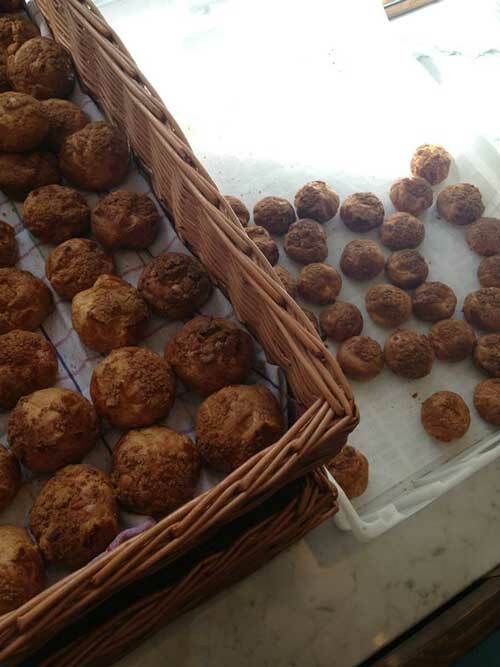 Mami Gateaux for hip Parisians and gorgeous salads (when you’ve had your fill of rich food).